Ansell LifeStyles Party Mix 12 pack LifeStyles Party condoms are an assortment of fun varieties including different colours, flavours, textures, menthol lubricant and glow-in-the-dark tipped. Some of the condoms are multi-featured. Condoms are an effective barrier, however no contraception method can provide 100% protection. Always read the label. Use only as directed. 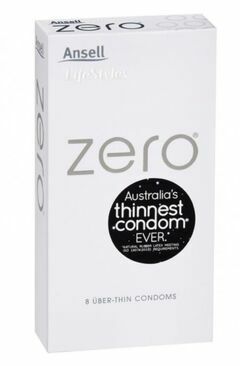 Ansell SKYN Elite Non Latex Condom Ultra thin and ultra soft ARTG Listing Number: 138592. Four Seasons Regular Fittings Condom 6pk A Natural Alternative Four Seasons Regular Fitting Condoms are an extra sensitive condom developed to feel as close to nature's way as possible. Ultra Sensitive Transparent lubricated. Regular 54mm fit. Naked Flavours Condoms Four Seasons Naked Flavours Condoms are packed with Chocolate, Strawberry, Banana and Bubblegum flavoured ultrathin condoms. Each delicious experience so sheer, you won't believe you're wearing a condom at all. Nominal width 54mm. ARTG #144896. 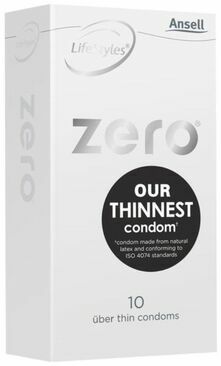 Ansell Lifestyles Ultra Thin condoms. ARTG Listing Number: 138592. 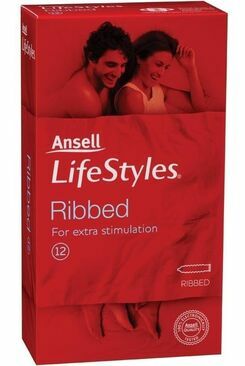 Ansell Lifestyles Large Condoms with a 57mm nominal width, for a better fit. LifeStyles Ribbed 12 PACK of Ribbed length condoms ARTG Number - 138592. The Naked Condom by Four Seasons is an experience so sheer you will not believe you are wearing a condom at all! Developed using the very latest condom technology. 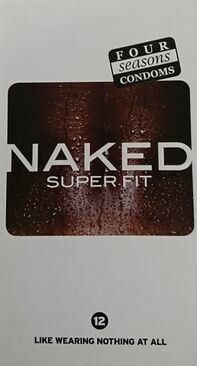 The Naked Condom is designed for increased sensitivity as well as strength. ARTG Listing Number: 144896.